Advanced practice nurses, and Certified Registered Nurse Practitioners, in particular, can help the current state of primary care. The DNP degree prepares students for advanced practice and places them on a comparable level as physicians, pharmacists, and dentists who must also earn a doctorate to practice. In their preparation for advanced clinical practice, DNP graduates also have a vital role in bridging the gap between administrators and bedside nurses. Their ability to work on both fronts can help them solve challenges in policies that affect the workforce. DNP graduates may function as administrators, nurse educators, and in other specialist roles. But the majority elect to practice as nurse practitioners to relieve the burdens of primary care. They work in doctors’ offices and clinics to ensure patients get the care they need. Although studies consistently demonstrate the high-quality care that nurse practitioners provide, state laws prevent them from practicing to the full extent of their education and training in Pennsylvania. Research by the University of Pennsylvania documents that residents in states where nurse practitioners have full practice authority have better access to primary care at lower costs. Full practice states also have a greater proportion of nurse practitioners working in primary care in clinics and in rural areas where access to care is limited. As the state sets to revisit legislation on the scope of practice for CRNPs, the educational preparation of practitioners could have a significant role in influencing reforms. Since 2004, the AACN has been recommending the doctorate degree for entry into advanced practice as it prepares nurses for the increasing complexities within healthcare and enables them to work collaboratively with other health care professionals. DNPs are also able to fill roles in nurse education, deliver high quality and effective care, and use their specialist training to care for specific groups. The DNP degree prepares graduates for advanced practice. The Pennsylvania Board of Nursing recognizes two advanced practice roles: Certified Registered Nurse Practitioners and Clinical Nurse Specialists. CRNPs receive certification from the Board and must practice using a collaborative agreement with a licensed physician. Their limited practice affects their ability to help individuals, families, and communities to reach optimum health. Nurse practitioners, who enjoy full practice in other states, improve access to health care through the delivery of primary care to populations in rural communities. With all their training, state laws limit a DNP’s scope of practice in the area of primary care. Granting nurse practitioners full practice authority will give vulnerable residents access to high-quality health care at a lower cost. In spite of the limited practice, there are still many benefits of pursuing the doctorate degree, especially as steps are being taken to grant full practice authority. Support has already been garnered from the AARP, Hospital and Healthsystem Association of Pennsylvania, Federal Trade Commission, and the Pennsylvania Rural Health Association. Even with limited practice, DNP-prepared practitioners can offer the highest-level care to manage the complex cases of an aging population. The incorporation of new technologies in the health care system improves the delivery of care. The impact is so significant that consumers expect it and managers have no choice but to implement it to stay competitive. The DNP program emphasizes the use of technology is healthcare and sets the groundwork for students to understand its use, stay on top of changes, and quickly implement it to improve patient care and satisfaction. There have been numerous recommendations, from the AACN and other organizations, to raise the educational standards for advanced practice nursing. More than a decade ago, the AACN recommended that the doctorate replace the master’s of science in nursing as the preparation for advanced practice. The DNP represents the terminal degree for the profession – especially for those who choose to stay in clinical practice rather than go into research. Studies reveal a clear link between higher education for nurses and improved patient outcomes. Advanced practice nurses have to manage patients with increasingly complex diseases. The DNP curriculum prepares students with the expertise and scientific knowledge to respond quickly to challenges and implement research findings to improve patient outcomes. The master’s of science degree in nursing remains the standard for certification by the Pennsylvania Board of Nursing. However, concerns about the quality of care could raise the requirement to the DNP degree. Nursing education is undergoing a crisis of extreme proportions as programs struggle to recruit faculty to educate the future generation of nurses. A shortage of faculty in itself is troubling. But it also impedes the process of adding new nurses to the workforce. The shortage of nurses in Pennsylvania and other states is widely publicized. One the most effective ways to boost the workforce is to prepare, recruit and retain new nurse graduates. There is no lack of interest in the profession as hundreds of prospective students seek to get the educational preparation to become a registered nurse. Yet, more than 55 percent of applicants to nursing programs are turned away due to a shortage of faculty and clinical spots. A DNP graduate can assume a part-time or full-time position as a nurse educator and help to alleviate the current nursing shortage. Their position at the top of clinical practice places DNPs in leadership, administration, and on governing Boards where there may write policies that change the profession for the better. Greater responsibility rests upon them, and the salaries they earn reflect their position. It is expected that APRNs would all earn the same salaries. However, a brief review shows that DNPs can earn up to 25% more than APRNs practicing with a master’s degree. The degree gives practitioners bargaining power when it comes to negotiating compensation and benefits. Constant changes in health care include new treatments, medications, and improved ways to delivered care. 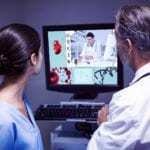 As a significant player in the health care team, nurses must be able to adopt and implement technology and new strategies to improve the quality of living of the patients they serve. The doctorate degree is common for major health professions and is endorsed by leading associations for nurses who plan to pursue advanced practice. The curriculum equips students with the skills and knowledge to use research findings in daily practice, improve patient health, and implements new treatment and delivery care methods. The program must meet the AACN’s mandate to prepare students for distinct specialties that require expertise, mastery, and advanced knowledge in a chosen area of nursing practice. Students will learn the evidence-based nursing practice, clinical research, organizational and systems leadership, informatics and patient care technologies, inter-professional collaboration, and health care policy and finance. Most of the coursework will be completed online, but students must also commit time to complete the clinical experiences to hone their skills in the focus area. A registered nurse who has completed a BSN program and has experience as a registered nurse. An advanced practice nurse who has an MSN degree and wants to expand his/her practice. 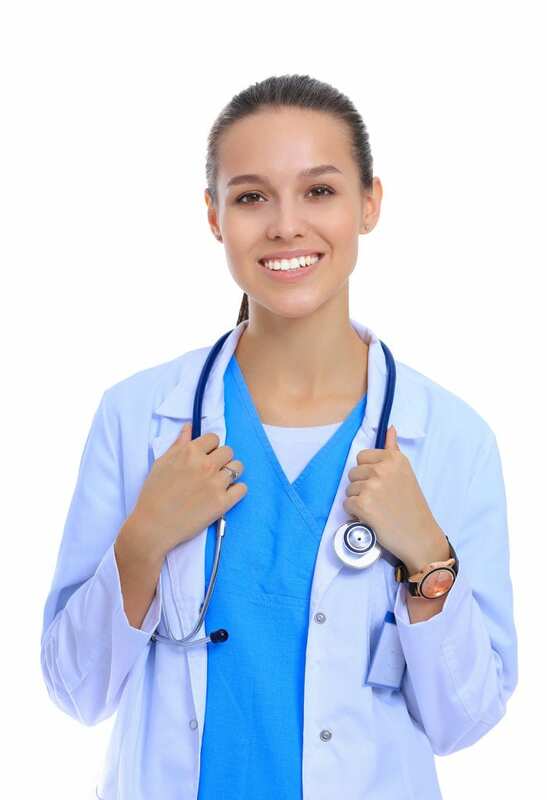 An advanced practice nurse who wants to prepare for certification in another practice role. An advanced practice nurse is a registered nurse who completed the advanced education to practice in a specialty role. The program’s outcome will depend on the selected area of practice, but graduates all have some things on common: their ability to monitor every aspect of the patient’s well-being and advocate for patients. Students who successfully complete the program will be eligible for certification by a national certifying board in the specialty role. Students generally complete 96 to 102 credits and 2000 clinical hours with three years of full-time attendance. Submit the application and relevant documents by the application deadline. GRE/MAT scores that are above the 50th Students with an undergraduate GPA of 3.0 or above may apply for a waiver of the scores. Current unencumbered license to practice as registered nurse. Two professional/academic references with original signatures. The post-master’s DNP meets the educational needs of working professionals. Full-time students can complete the requirements in five semesters and part-time students in eight semesters. The program prepares APRNs with an advanced knowledge in core areas, such as evidenced-based practice, leadership, health-care policy, and finance, so they’re better able to face the complex issues affecting the landscape of healthcare. Students will complete approximately 30 to 35 credit hours and will be capable of implementing solutions within teams or independently to achieve positive healthcare outcomes. A master’s degree in nursing from an accredited program. Applicants who hold a master’s degree in another discipline and a BSN degree in nursing may also be eligible for admission. Current unencumbered license to practice as a registered nurse and APRN. A cumulative master’s GPA of 3.4 and above. A grade C or above in statistics and a graduate research course. Letters of recommendation from an academic and professional source. Verification of precepted clinical hours. A personal statement including personal career goals. College transcripts of all previous college coursework. The cost of completing the program depends on the starting point, intended program of student, total credits required to complete the program, and the type of university – whether public or private. The average cost per credit in this graduate study program is $925. Additional student fees, technology fees, graduation fees, and costs for books, insurance, and supplies will apply.